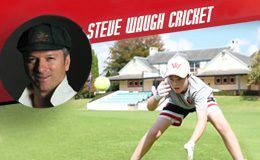 Aimed at young players – girls and boys – between 6 and 17, the cricket clinic partnership between the Bradman Foundation and Steve Waugh Cricket offers an engaging, interactive concept in coaching for all ages and standards. 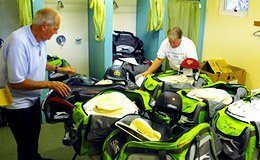 The Bradman Foundation encourages families to donate good quality used child/youth cricket clothing and equipment to the Foundation, who will then collate and distribute cricket kits to individual children, schools and junior cricket teams on a needs basis. 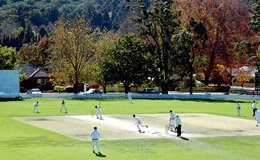 The earliest reference to sport in Bowral was a cricket match between Wollongong and Mittagong that was played at Bowral in April 1871. In 1884 Oxley’s paddock was used for playing cricket. In 1885 a two-day match between the English eleven and a Bowral District twenty-two was a highlight of cricket history. 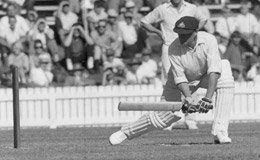 The Bradman Young Cricketer of the Year Award is presented annually at the prestigious Allan Border Medal Dinner convened by Cricket Australia. It has been awarded since 1990 and is The Bradman Foundation’s principal award of recognition to elite cricketers.